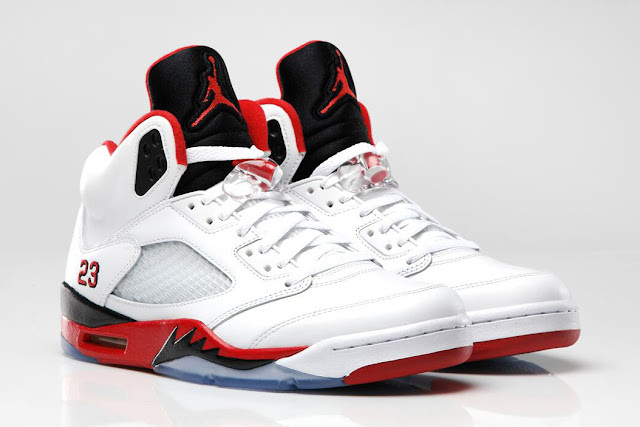 The Jordan V "Fire Red" will be releasing this Saturday (August 31, 2013) in Canada. This here is my favourite Jordan silhouette, accompanied by one of my favourite colour ways. I can't wait to get my hands on a pair of these! The full grain upper, black tongue and midsole have really sold the shoe to me. I remember back in 2006 when I wanted these. These will be available at Foot Locker and Momentum on 8th Street for about $200.